Start off 2010 with a Bang! Last week’s tip told you about Meetup.com and EventBrite.com to help you use Networking to help you BUILD your business! I have been out there networking and have been generating new relationships and will be starting off 2010 with a bang! Hope to see you out there as well! And don’t miss the end of my email about the networking group I am starting up – over 40 people have joined my group! I decided I am going to give you a general Business Tip and a Tech Tip each week so that you have something to working on strategy wise and also tactical wise as well! You MUST read this book: “The E-Myth“. This ‘E’ stands for Entrepreneur. This book will help you DESIGN your company as a TRUE BUSINESS and not just a JOB! You can download this as an e-book, or order the paperback. Are you “LinkedIn”? 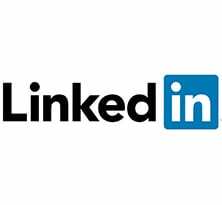 LinkedIn.com is a great way to stay in touch with all your business contacts and a great way for people TO FIND YOU when they search on your skills, expertise, etc. I look at it as a way to maintain a database of business cards – or relationships with business people that I want to be able to draw from in the future. That’s your update for the week… take action today before you forget!